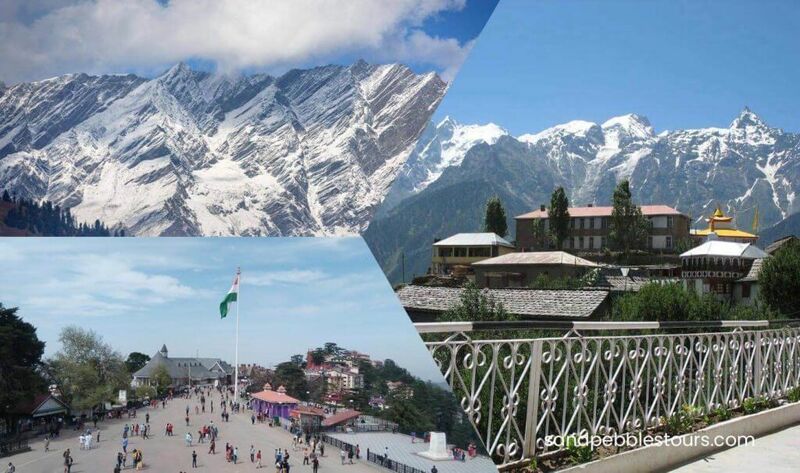 Turas Sàbaid Amazing Himachal | Cuir fòn gu @ + 91-993.702.7574 airson Clàradh. Himachal, fearann ​​a tha a 'bualadh air do anam. Beannaichte le bòidhchead anabarrach nàdarra, tha Himachal Pradesh na phàrras turasachd. Bheir Turas Amazing Himachal Holiday dhut air turas fad a bheatha. Gabhaidh tlachd a ghabhail ann an trekking, rafting abhainn, streap chreagan, paragliding, rappelling agus tòrr eile Himachal, mar sin a 'toirt dhut cothrom eòlas fhaighinn air an roinn ann an dòigh eadar-dhealaichte agus a' dèanamh cuimhneachain a bheir thu seachad air do bheatha gu lèir. A bharrachd air a bhith a 'seinn, tha cothrom ann cuideachd bòidhchead na cruth-tìre nàdarra ann an Himachal a mhealtainn. Agus 'S e Turas Amazing Himachal Holiday an dòigh as fheàrr air tlachdmhor a thoirt air àrdachadh an t-sealladh-tìre. Tha an t-àite bòidheach seo air a sgeadachadh le nàdar le beanntan geala geal, an sgead mòr de fhiodh giuthais, sealladh-tìre iongantach. A h-aonar, tha thu a 'tadhal air madainn mìos no ma tha thu airson ùine mhath a chaitheamh còmhla ri do theaghlach, caraidean air saor-làithean; tha an àite seo a 'cumail rudeigin airson a h-uile duine. Adhair a-mach àilleachd nan cnuic anns a bheil i làn-fhillte le Turas Amazing Himachal Holiday. Tha an stàit a 'seasamh a-mach a thaobh an iomadachd dhùthchasach aige agus bòidhchead nàdarra. Tha fearann ​​Himachali a 'gabhail a-steach uiread de dhuais-luingeis a tha a' tàladh luchd-gràidh nàdair bho air feadh an t-saoghail. Rannsaich an dùthaich iongantach seo le ar Turas Amazing Himachal Holiday. An-diugh às dèidh bracaist Faigh a-mach is dràibheadh ​​gu Manali. Glè thric a 'cumail do chamara air adhart, gus dealbhan a thogail de sheallaidhean seallaidh leithid abhainn beas, gleann kullu, maighdeann Dashehra msaa. Nuair a ruigeas tu Faigh a-steach aig an taigh-òsta. Tha Manali na bhaile-cnoc air leth freagarrach air àirde de mheatairean 1,929 a tha air a shuidheachadh am measg stùcan sneachda, tha bòidhchead Manali air a chòmhdach leis an abhainn beas le uisge soilleir, a 'gluasad tron ​​bhaile. Tha timcheall air aon dhiubh a 'faicinn craobhan deodar agus giuthais, achaidhean beaga agus ubhal-ghortan measan. Feasgar an-asgaidh airson gnìomhan fa leth. (Overnight in Manali). An-diugh às deidh do bhracaist a dhol air adhart airson tadhal air Manali ionadail, tadhail air an teampall 450 bliadhna a dh'aois a dh'aona-ghnothach do Hadimba Devi, a tha a 'taisbeanadh crann-fiodha sàr-mhath. Cuideachd, tadhail air Teampall Manu agus Vashisht Kund, a tha aithnichte airson na fuarain teth òil. Feasgar an-asgaidh airson a bhith a 'ceannach aig Margaidh Tibet ionadail. (Overnight in Manali). An-diugh às dèidh tràth bracaist, rachaibh air adhart gu rathad Snow Point air Rohatang. Stad stad aig Solang gu lèir. Tha pas Rohtang (3940 meatair àirde) 51 kms bho Manali, ach ri linn rathaidean sneachda trom, chan eil am pas seo freagarrach airson faisg air mìosan 8 den bhliadhna. Feasgar air ais gu Manali agus ùine saor airson tachartasan cur-seachad fa leth. Ma tha rathaidean gu Pass Rohtang dùinte, tadhail air Rubha Sneachda (faodaidh pònaidhean / eich a bhith air am fastadh dìreach). Air adhart ann am Manali. An dèidh bracaist, seall a-mach bhon taigh-òsta agus gluais gu Amritsar. Nas fhaide air adhart, tadhal air Teampall Òir, Jalyanwala Bagh & Waga Border. Tadhal ann an Amritsar. An-diugh às dèidh bracaist Faigh a-mach is dragh gu Chnadigarh. Nuair a ruigeas tu Chandigarh a 'gluasad gu inntrigeadh. A-muigh ann an Chandigarh. An-diugh às deidh bracaist, seall a-mach bhon taigh-òsta agus a dhol air adhart airson cuairt turasachd Chandigarh. Tadhal air Rock Garden. Tha inntrigeadh neo-mhisneachail a 'leantainn air adhart gu rèiteachadh iongantach, cha mhòr neo-aimsireil de chreagan, ulpagan, briosgaidean Sìona briste, tiùban flùrairean air an toirt a-mach, bratles glainne briste agus caitheamh, a' togail sgudal, gual agus crèadh-uile air an cur ri chèile gus saoghal aisling dhaoine de palachan, moncaidhean, beatha baile, boireannaich agus teamplan. Nas fhaide air adhart gluais gu port-adhair Chandigarh / stèisean rèile far a bheil an turas a 'crìochnachadh.